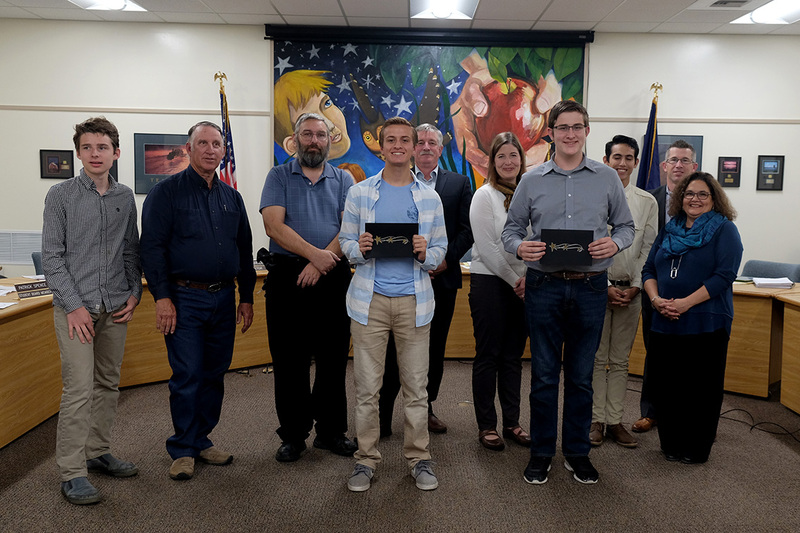 This week, the School Board honored Student All-Stars from West Albany High School for earning the highest scores on the Oregon Smarter Balanced state tests last spring. 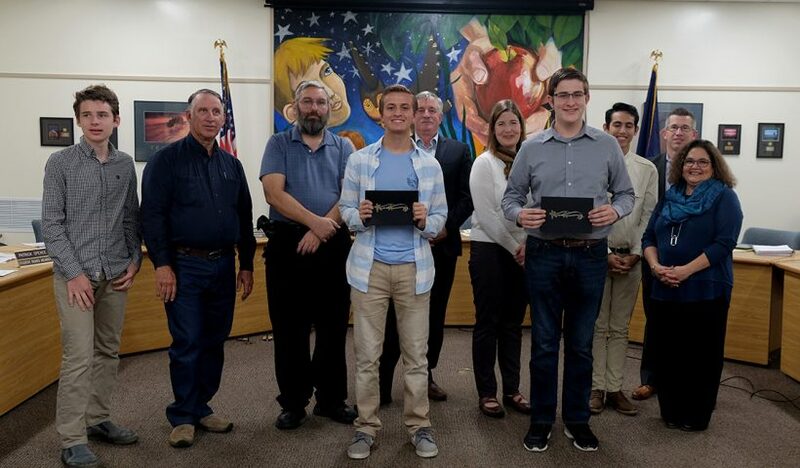 Curtis has a 3.92 GPA while taking five AP classes, including AP European History, AP Composition, AP U.S. History, AP Literature, and Spanish IV. He is active in the school’s award-winning band and choir, where he has won numerous awards. He has played the lead role in school musical productions and is on the varsity soccer team. Curtis is also a WAHS Linn County Junior First Citizen nominee in recognition of his character, leadership and service. Eli has a 4.0 GPA that includes 10 AP classes: AP European History, AP Biology, AP Composition, AP U.S. History, AP Physics, AP Calculus BC, AP Literature, AP Chemistry and Spanish IV. He is very active in the school’s award-winning band and choirs and a great actor in school musicals. He is on track to be a valedictorian for the Class of 2018. Jewel came to us last year after being in the International Baccalaureate program at South Salem High School. He has a 4.0 GPA that includes 10 AP classes at WAHS: AP Calculus A/B, AP Composition, AP Environmental Science, AP European History, AP Physics, AP Psychology, AP Calculus BC, AP Literature, AP Chemistry and Spanish IV. Jewel is active in orchestra and is an AVID tutor. She is on track to be a valedictorian for the Class of 2018.